In Return, a London-based art group formed by Guus ter Beek and Tayfun Sarier, have been known for their work with corporations as well as street art, such as their recent “Street Eraser” project in which they placed Photoshop-patterned stickers on top of surfaces all over London. After doing work for the World Cup and Volkswagen, In Return has gone back to the streets with their new “GIFs Go Wild” project! 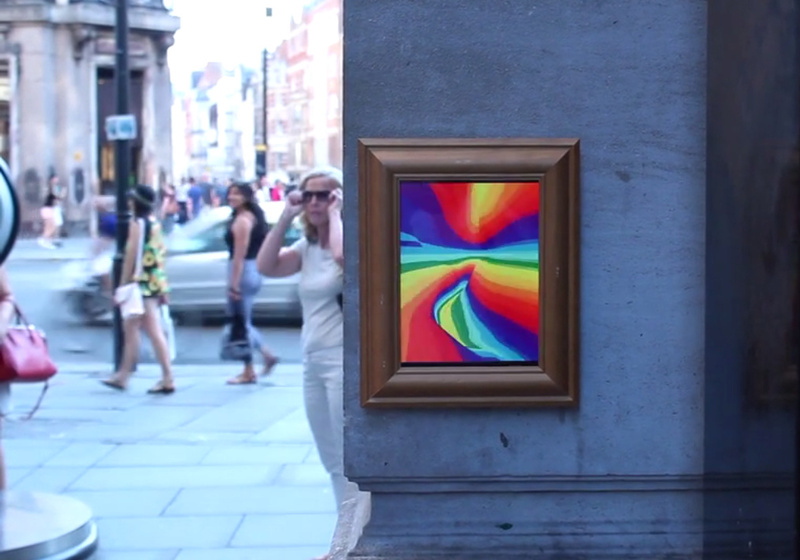 With the express purpose of bringing eye-catching artwork to the most mundane and everyday places, In Return has modified a number of iPad 3 mobile devices into classically-framed GIF works of art, installing them in 30 locations throughout London. Featuring animations from classic Disney movies, retro NES Mario games, crazy kaleidoscope patterns, and more, 14 artists worked together to bring this project together. 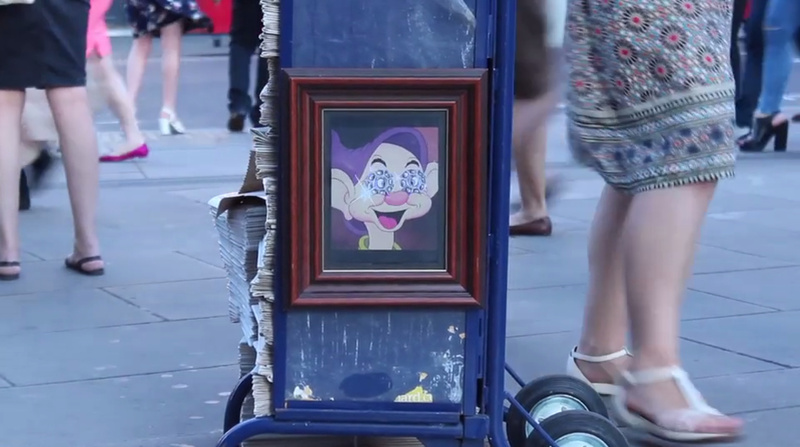 The GIFs have been mesmerizing and charming passerby, and In Return has been documenting a wide variety of reactions to their work in a compilation video. While no date has yet been set for when the GIF portraits will be taken down, In Return hopes that other artists across the world will pick up the mantle and set up their own GIF experiences in cities worldwide.